Are you looking for Halloween potluck ideas? I got you. 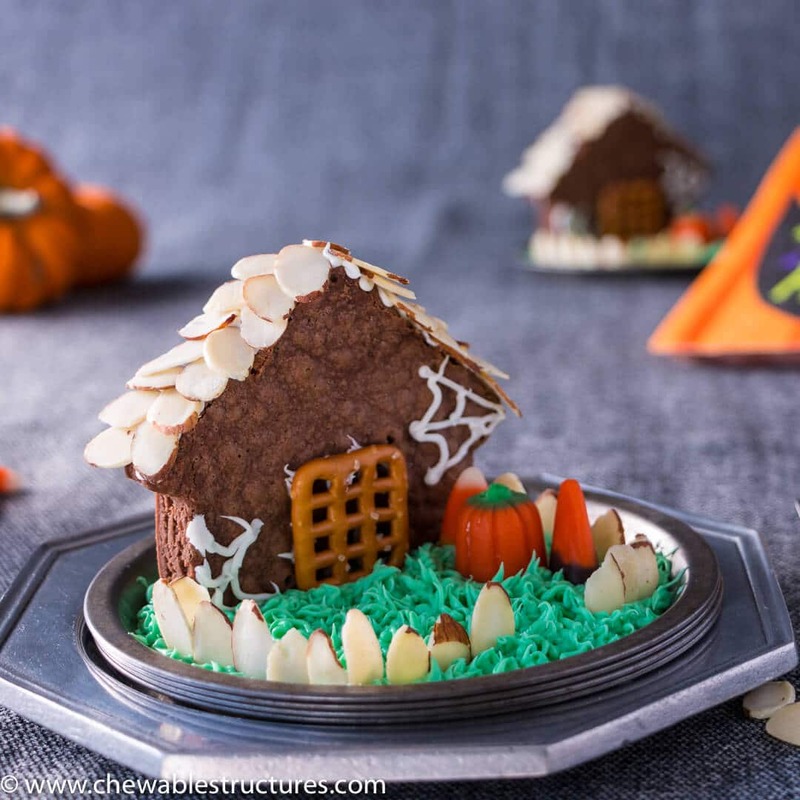 This decadent chocolate brownie house topped with a shaved almond roof and a candy corn landscape is spooky and adorable. Happy Halloween! This fun and easy dessert recipe only takes a few minutes and will scare your friends with sweetness. Looking for Halloween potluck ideas? This haunted house chocolate brownie will wow your friends. 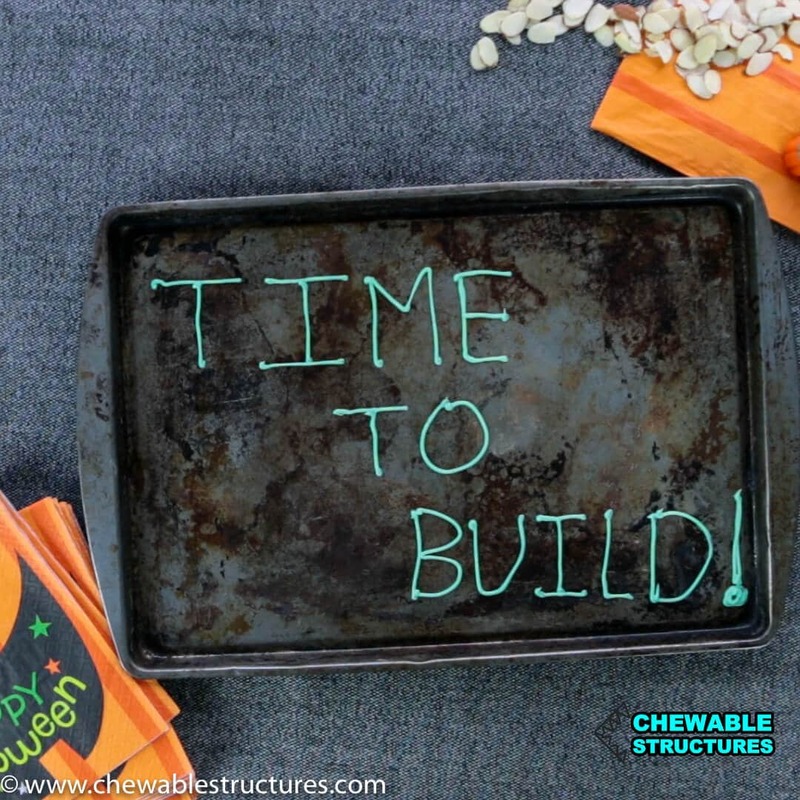 WATCH MY RECIPE VIDEO BELOW so that you can learn how to build a fun treat for your next Halloween Potluck. As some of you may know, I love building houses. Earlier this year, I built the Family Guy House out of ooey gooey caramel popcorn. Now I can say that I ate a house! In that build, I used green apple licorice for the house shingles, so I knew that I needed a new material to use for my scary haunted house design. Afterall, for a Halloween potluck, I need to bring my A game. After a few structural tests and taste tests, I realized that shaved almonds would be the best option. Structurally, it’s thin and easy to layer on top of each other. I couldn’t resist photographing these beautiful shaved almonds. Check out how these delicate roof shingles turned out. I used shaved almonds to mimic the layered effect of real roof shingles. So adorable, super tasty and easy to make. I had some left over shaved almonds, so I used them to make the fence too! For the house shape, I used a house cookie cutter then I cut off the chimney on top. You can leave the chimney on, but without it I think the roof looks better and it’s easier to add the almond roof shingles. 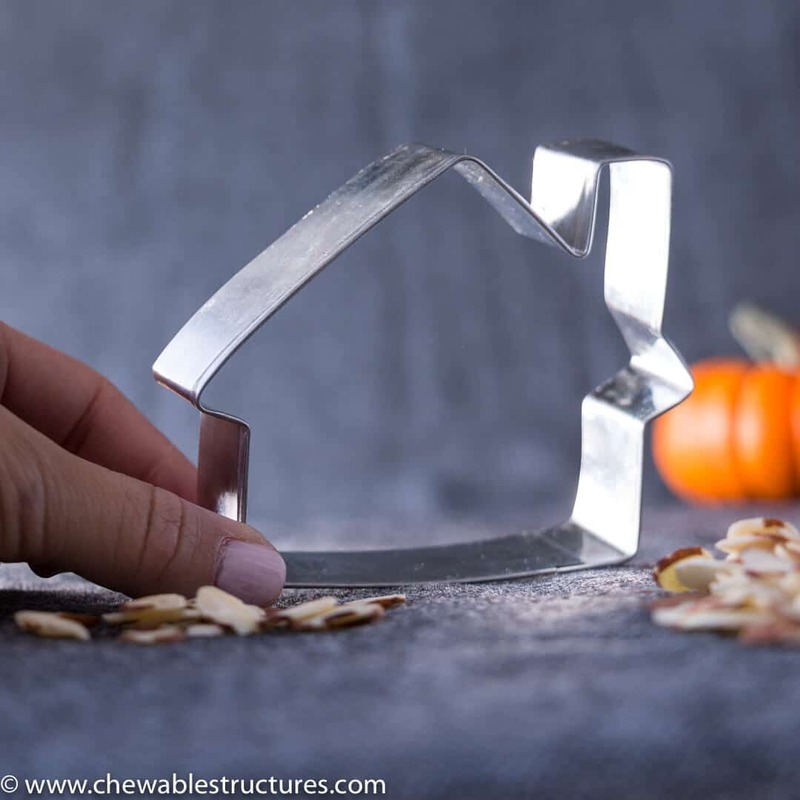 This house-shaped cookie cutter makes it super simple to cut the haunted house chocolate brownies. I’d love to know some of your favorite Halloween potluck ideas, so leave me a comment below. Happy Halloween and thanks for building with me today! In a 9x13-inch pan, bake the brownies according to the instructions on the box. Let cool, then refrigerate for 20 minutes. Using the house cookie cutter (see blog post for link), cut out 6 house-shaped brownies. Attach the door by adding icing to the back of the pretzel. Decorate the house with vanilla icing spider webs. Add green food coloring to 1.5 cans of vanilla icing. Using Wilton tip #233, pipe the grass onto a small round plate. Stand up the brownie house in the green grass frosting. 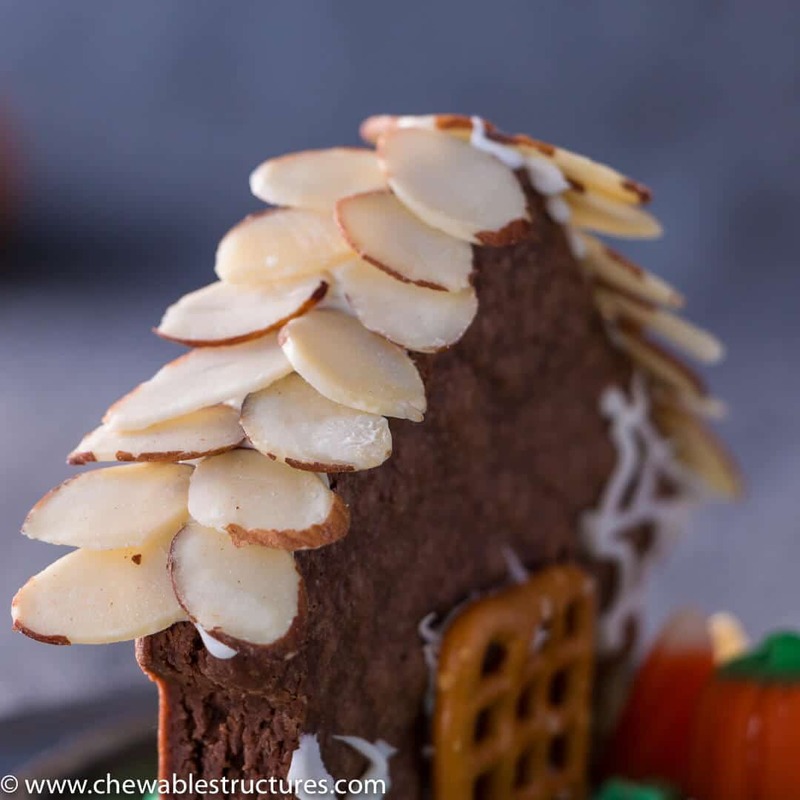 For the roof shingles, pipe vanilla icing on the roof then add the shaved almonds. Start at the bottom and work your way upward. 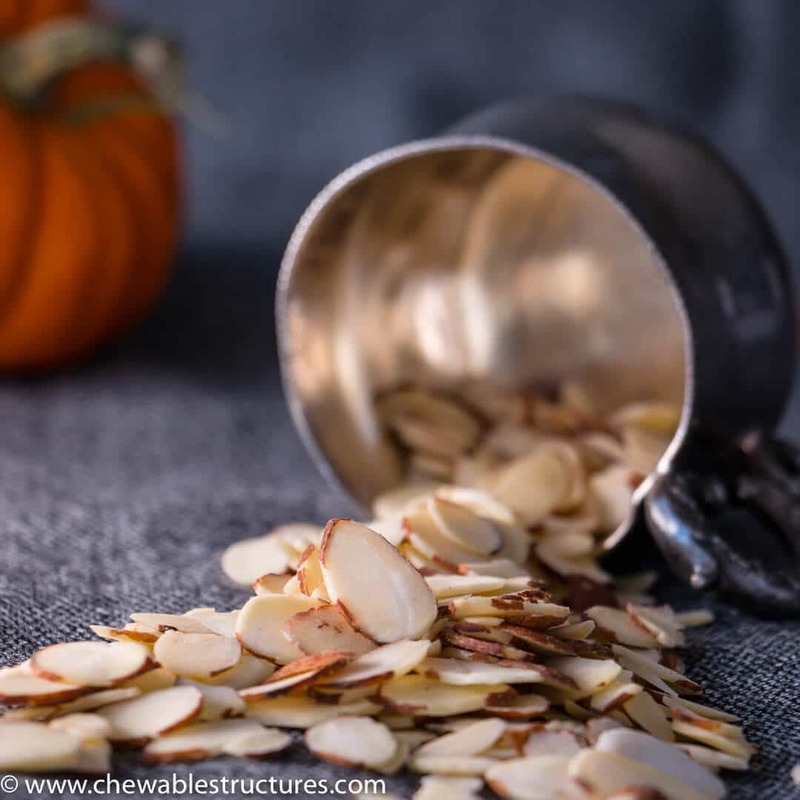 Build the fence using shaved almonds and decorate the yard with candy corn. Happy Halloween! If the green grass icing is a bit runny, because you're adding liquid food coloring, put the icing in the fridge for 10 minutes so it firms up before you pipe the grass frosting. Otherwise, it'll look like green globs of icing.